The Irish Pool Classic, the 3rd ranking tournament of the 2016 2017 season takes place in the Headford Arms Hotel in Kells, Co. Meath from 11th-13th November. Please follow the links below for draws and results. PLEASE NOTE: Over 50’s – 3 prelim matches are scheduled for 9am on Sunday morning, the last 32 matches will commence at 10am as usual. The second event of the Irish Pool Tour 2016/2017 takes place in the Lough Allen Hotel, Drumshanbo, Co. Leitrim from 7th-9th October. Please click the links below to view the mens times and the draws for Over 50’s and Under 23’s. The first ranking tournament of the 2016-2017 Irish Pool Tour, the Irish Pool Grand Prix will take place at the Southcourt Hotel in Limerick from 9th to 11th September 2016. Please follow the links below to view mens times and the draws for other competitions. Links to results will follow later in the week. Click the links below for schedules and draws for Ennis. Please note time of your match is to the LEFT of your name. FULL DRESS CODE for this event, trousers (no denims or combats), long sleeve shirt, waistcoat, proper shoes (no runners/trainers). Tie or bow tie is optional. The penalty for breach of dress code is immediate loss of frame. Follow the links below for draws and results from the 2016 Irish Pool Masters which will be held at Citynorth Hotel, Gormanston, Meath from 15th to 17th April. The 5th pool tournament of the season takes place in the Crowne Plaza Hotel in Dundalk from Friday 4th to Sunday 6th March. Click the links below for times / draws. The fourth event of the Irish Pool Tour 2015-2016 Season the Irish Pool Open takes place from 29th to 31st January 2016 at the Bridge House Hotel Tullamore. PLEASE NOTE: Due to the very large entry in the mens competition the 4th session on Saturday evening has been split in two in order to minimise waiting time for players. 4 groups in the Saturday evening session are planned to start at 7pm with the other 4 to start at 8.30pm. Every effort will be made to try and keep to the published schedule. 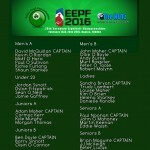 It’s that time of year again for new starts on the Irish Pool Tour! Check out the draws for the first tournament of the season taking place in Killarney from 28th-30th August. The 2015 Festival of Pool incorporating the Inter County Team Championships and Irish Singles Championships will take place from Thursday 28th May to Monday 1st June at Treacys West County Hotel in Ennis, Co. Clare. The final ranking tournament for the 2014-2015 season takes place in the Cavan Crystal Hotel from 17th to 19th April. The weekend will also see the finals of the qualifiers to decide who will represent Ireland on the European Lions Team who will tour Australia later this year. The semi finals will take place on Friday evening at 8pm featuring Shaun Sharkey v Robert Brady and Noel O’Sullivan v Karl O’Donoghue with the final taking place later in the evening. This weekend also sees the Under 23 Irish Championships taking place, see the link below for the draw. The fifth ranking event of the season takes place this weekend at City North Hotel, Gormanston, Co. Meath. Follow the links below for playing times, draws and results.